What is California billionaire Tom Steyer up to in Colorado, again, that has prompted him to spend nearly $360,000 in the state in 2015 for research and polling? Complete Colorado has the financial disclosures that show $345,000 went to Project New America and $12,000 to Andrew Baumann to conduct this mysterious polling and research and we want to know what it was for. Do you miss Mark Udall? If we gave you money would you vote for Bennet’s reelection? Was the EPA framed when it caused that so-called disaster? 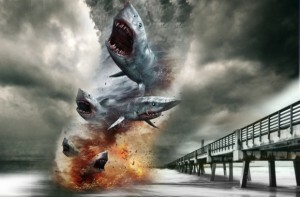 Are Sharknados caused by global warming? We suspect it’s to help U.S. Sen. Michael Bennet get reelected, and Heavens knows, Bennet needs all the help he can get. Steyer spent millions trying unsuccessfully to get former U.S. Sen. Mark Udall reelected, so perhaps this small drop in the billionaire’s bucket is an indication that Bennet’s race is not worthy of a huge investment? Complete Colorado also speculates that the money could be in support of a fracking ban redux. But before racing to Udall’s defense, Steyer’s political operation held talks with environmental activist groups and U.S. Rep. Jared Polis (D-Boulder) about funding several anti-fracking measures proposed for the statewide ballot. Those ballot measures were pulled, allowing Steyer to focus on the 2014 Senate race, but his work with environmental activists in Colorado never really stopped. Steyer may be trying to rig the state legislative races, or dabbling in presidential politics in an attempt to see which way the wind is blowing in our swing state. We’d love to know what costs $24,500 just to research, so drop us a line PeakNation™ and let us in on Steyer’s little secret.